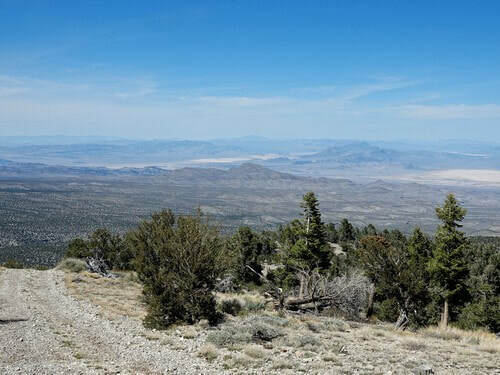 A steep, rocky powerline trail to the top of Angel Peak at almost 9,000' elevation. Fantastic views at the top. 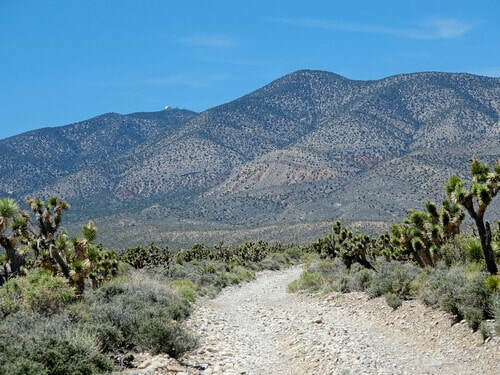 This run is a combination of the Grapevine and Angel Peak trails. 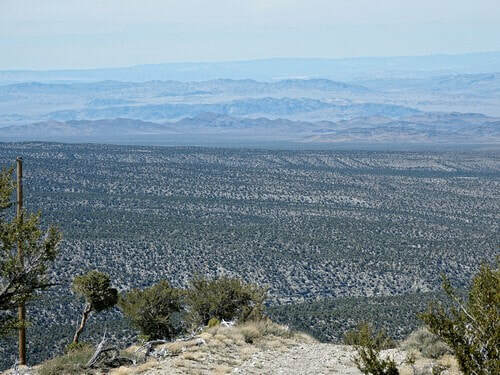 It is a loop from Highway 157 to Highway 158 northwest of Las Vegas. We rated the trail a strong 3.0. 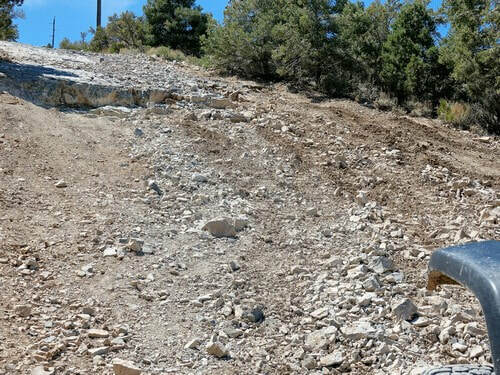 Some will think the steepness and sharp, loose rocks deserve a 3.5. 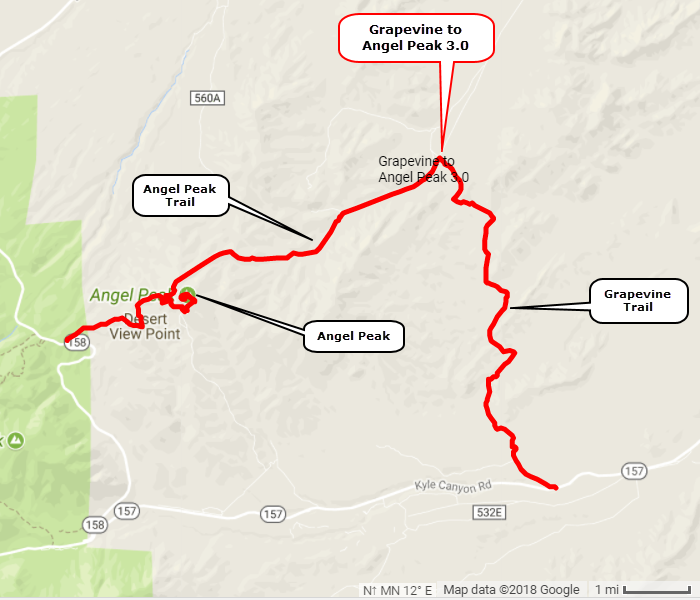 Grapevine Trail meanders out through the foothills on its way to meet up with Angel Peak Trail. 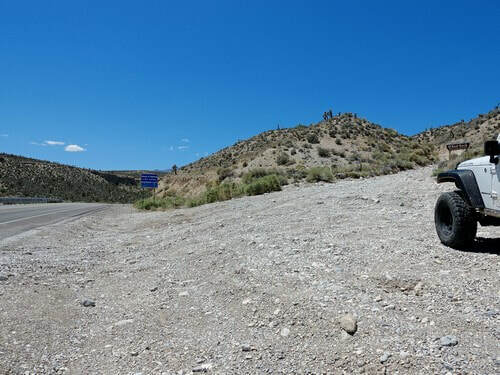 The toughest part of Grapevine is a small ledge climbing away from the highway. Mostly a mundane run. 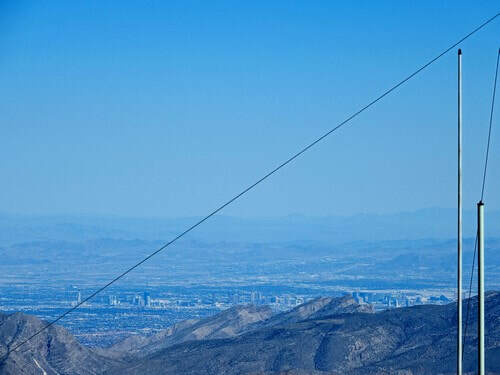 The Angel Peak Trail is along a powerline. It is very steep with ledges and sharp, loose rocks. Our photos do not do it justice. So is the view of Las Vegas. 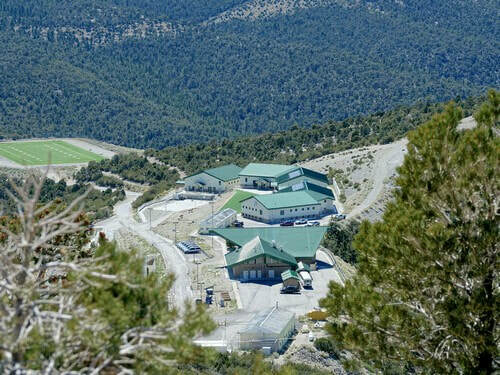 ​Spring Mountain Youth Camp is visible from the peak. 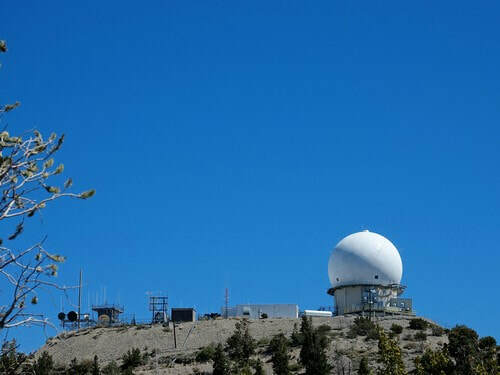 Angel Peak Trail is intended to return down the mountain to Highway 157 via another powerline Jeep trail. We ran out of time, so we took a paved road down through the Youth Camp. We were able to drive out through an open gate, but are not sure if the Camp is actually open to the public. 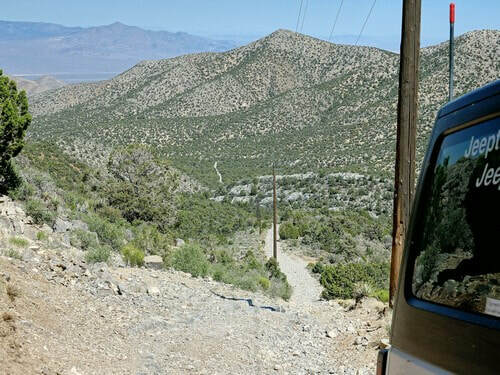 It would be a good idea to go to LasVegasJeepTrails.com and download the entire trail, including the portion we skipped.